triangle' is a reflection of triangle over the given line. a. Use the points to move the line so that triangle' and triangle are in the same location. b. 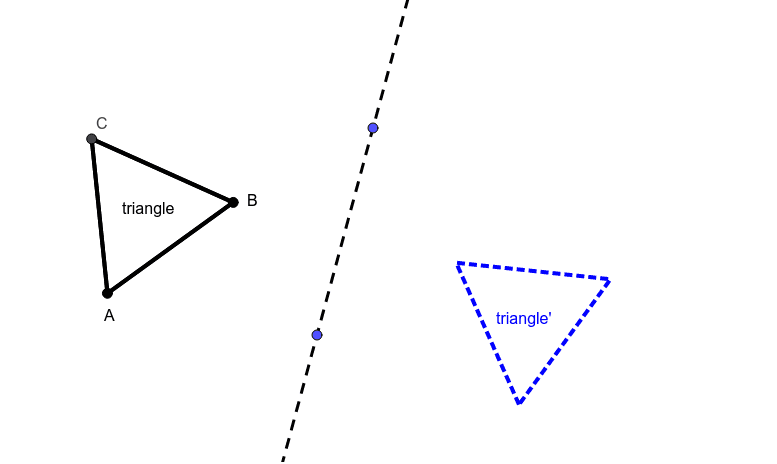 How many possible locations of the line result in triangle' and triangle being in the same location?